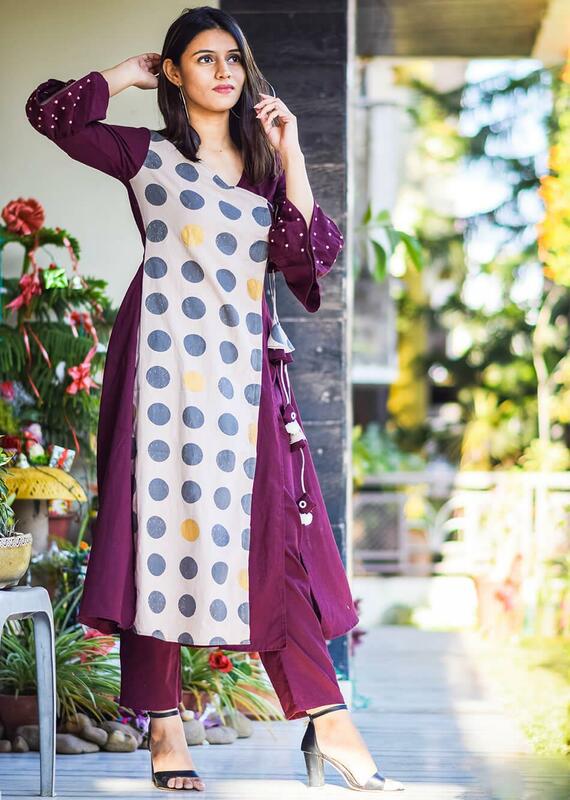 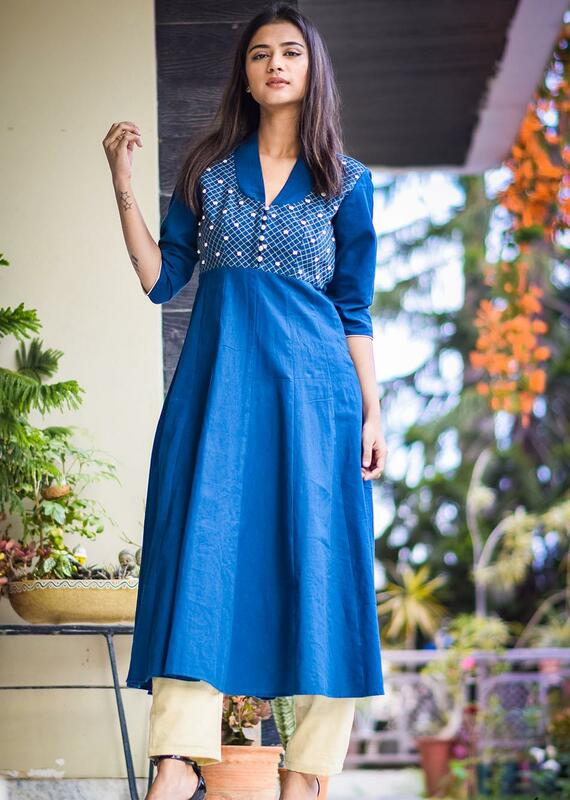 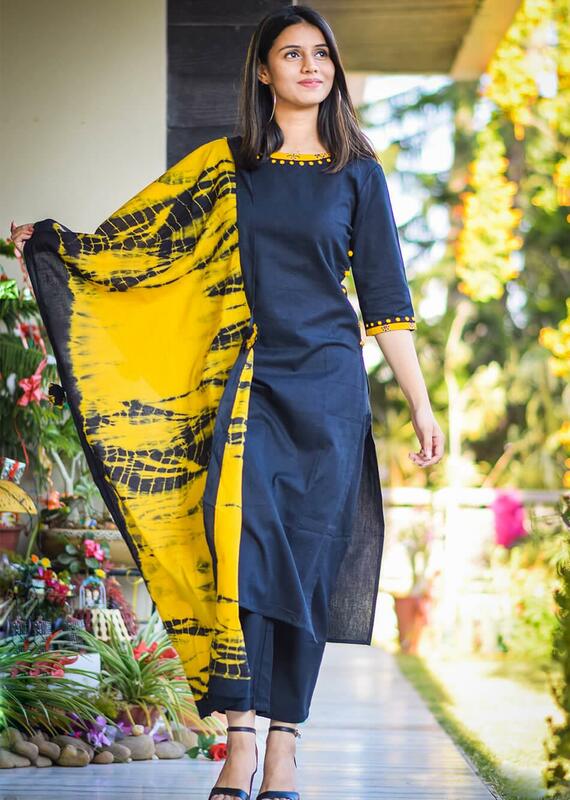 Pairing the plain kurta with printed palazzo and dupatta is the essence of this set. 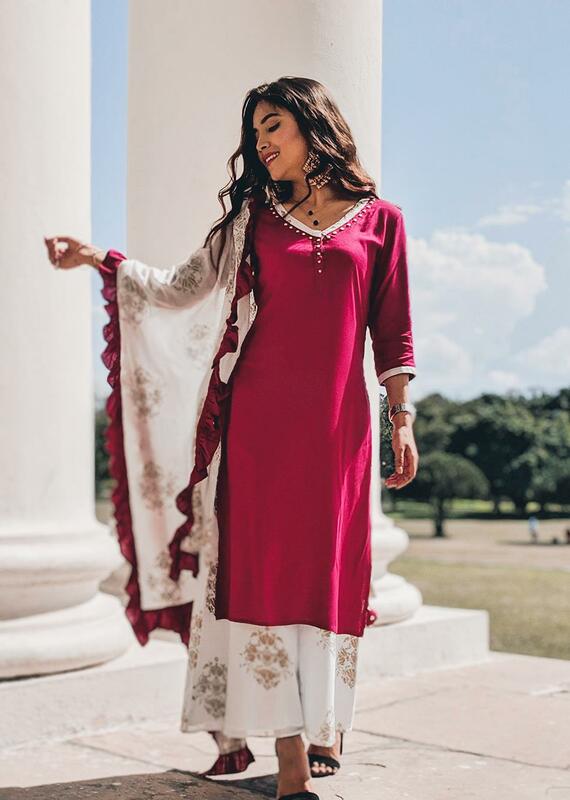 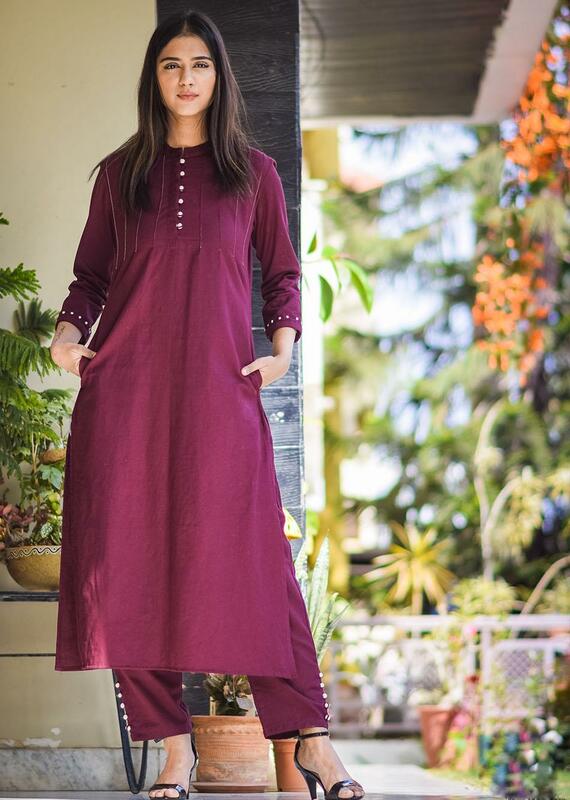 The maroon kurta is straight, simple, with V neck, and three-fourth sleeves. 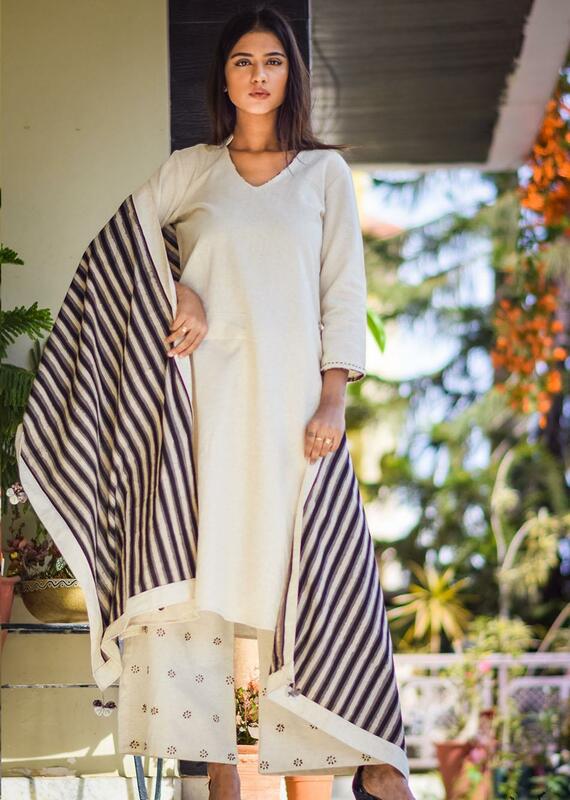 What actually accentuates the look and catches the attention is the golden hand block prints on white dupatta and palazzo. 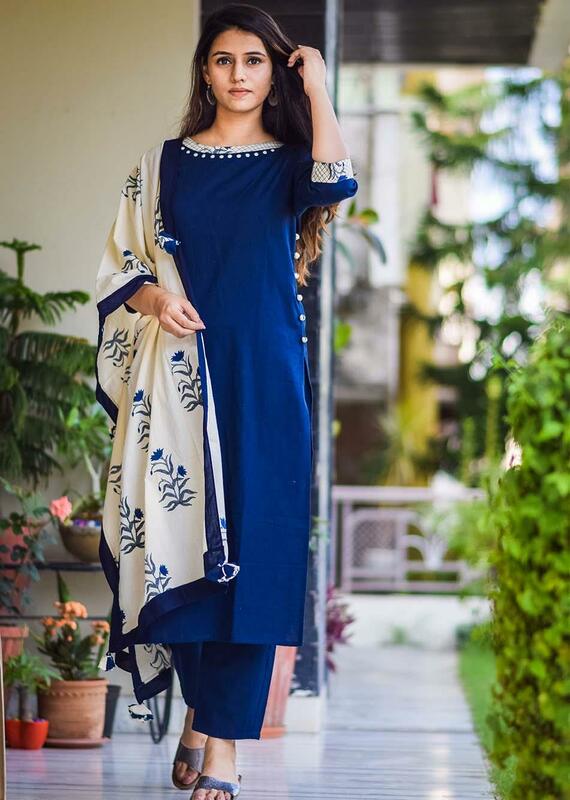 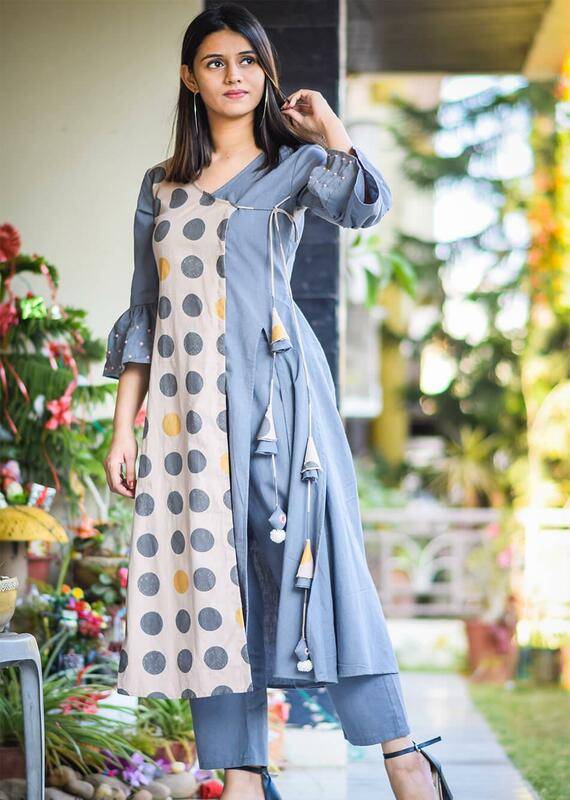 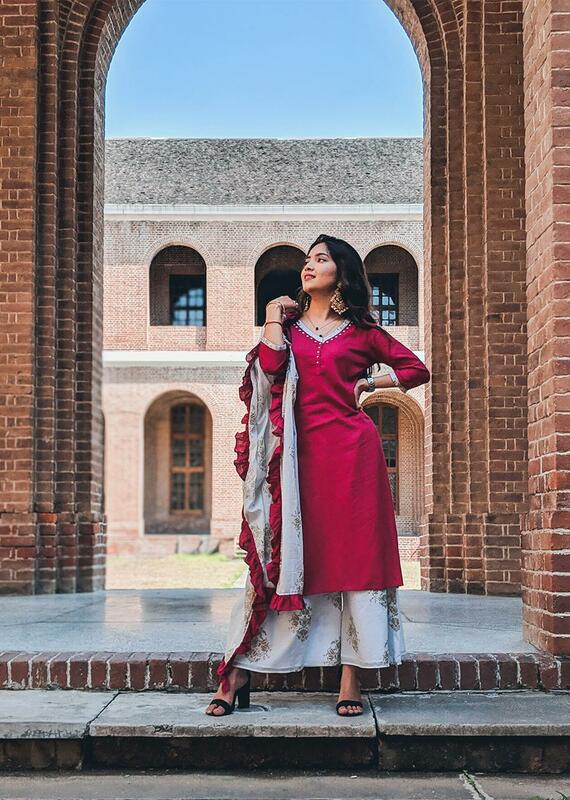 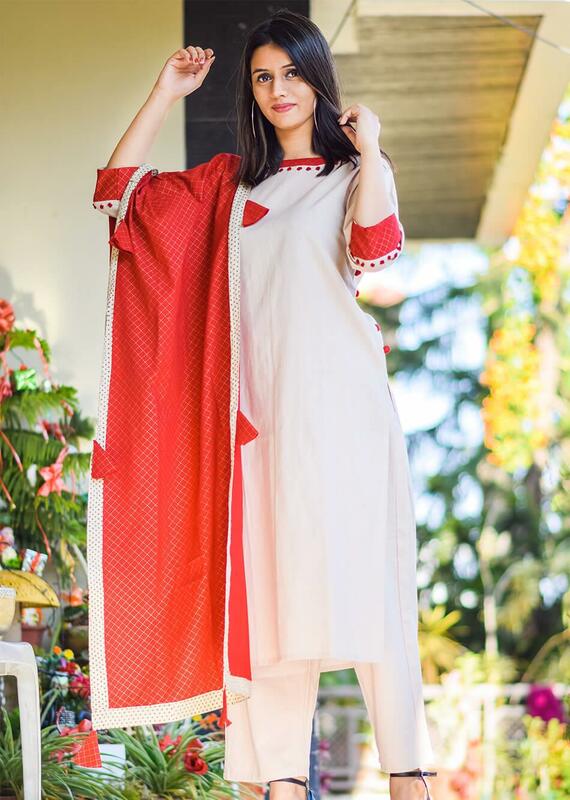 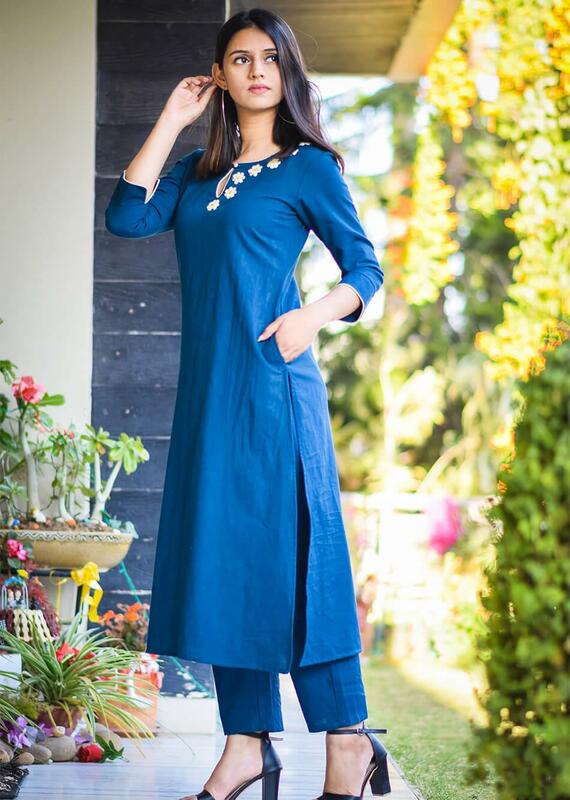 The raffles on the dupatta add to the style while the minimalistic details like hand embroidered flowers on the neck and tassel on the side complete the outfit. 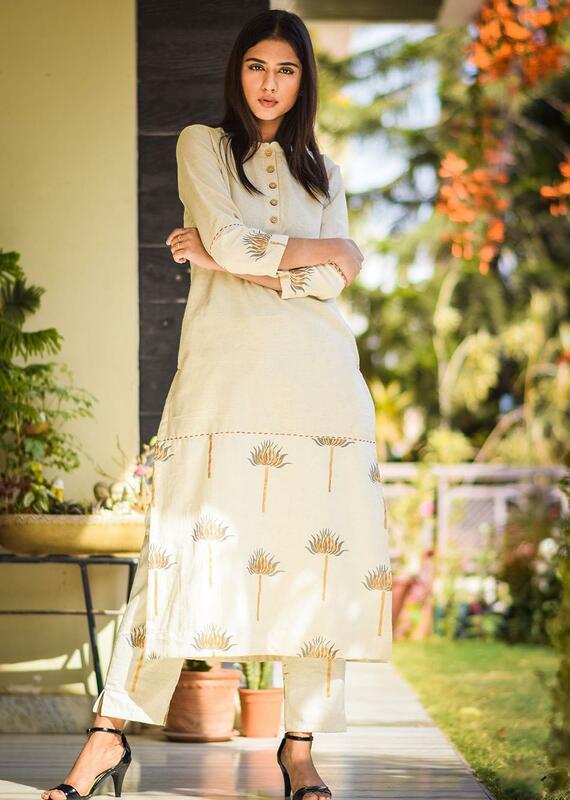 Wear this flax and cotton fabricated outfit on special occasions and look stunning beyond measure.